The links below will get you to our services and email address. I JUST WANNA LISTEN! OK!! What the heck did we just play. Send us any comments or questions you might have about the station. Donate The thieves at Sound Exchange are now taking a lot of money from us even though most of the artists/groups we play are three sheets to the wind or deceased, and will never receive the money we pay to help them. Hence, this Donate button (though it says Paypal, credit card payments are fine. After clicking, just scroll down a little to see the CC option). *Click on a song to hear it and then click on the YouTube logo to go to YouTube and save it to a playlist. When you hover over a song and your curser does not turn into an arrow, the song is not available on YouTube. Mibbit chat is still here. However, it's now your 2nd choice, but only if you enjoy ads for Russian wives and fake Viagra. The other chat link is ad free, is preferred, and it's so easy. Just fill in your chatname and click Start. If that link doesn't work (it's happened), the second link always works. For you masochists, who like Mibbit chat, here's your link. Management (that's me) recommends an adblocker. If you're using Chrome, install this one. If you use something other than mIRC, the server we use is irc.mibbit.com and the chatroom name is #topshelf. If you need help, our own Ramtown Mike has prepared a Youtube instructional video for setting up Mirc. It's just below the servers. You can do it!!! And here is Mike with a "how to" video on registering your nick name. First up, the Show Calendar to find what's on tonight or any other night. Right below that are the DJ profiles. Read a general description of their shows, communicate with them via email, Facebook, and Twitter, check out their websites and in many cases, their show archives, in case you missed a show. The dj request line email addresses appear right here along with many more links for archives, Facebook, etc., when available for each day's shows. The HiFi Party is where you hear the best in UNcommon oldies, Doo Wop, Soul, Pop, R&B, Rockabilly, British Invasion, Surf and Garage from the 50's and 60's. Oh, and it's the home of the Second Chance Survey. This is where the greatest records of all time reside, ALL the time, and we invite you to set a spell, relax and join in every Tuesday from 5 to 8 PM. Notice I didn't say the greatest HITS - it didn't have to be a hit to be great, just like it didn't have to be great to be a hit! Host Richard Sibello plays everything, from the sublime to the ridiculous, from his collection of over 25,000 records. He also tells the untold stories of rock and roll (are there any LEFT??) and segues semi-smoothly from genre to genre, as long as it's from the 50s, 60s and early 70s. Plus the last Tuesday of every month is a CLASSIC SOUL BLOWOUT, featuring nothing but the greatest in classic soul and R&B for three hours straight!! Best of all, you won't need penicillin after visiting THIS bordello!! The Time Machine is hard to define. As the name tells you, we take you forward and backward in time, but that's just part of the equation. With ten differt hosts, everyone has a different approach, but we're all trying to do the same thing, keep you entertained with the best tunes we can find, usually the more obscure the better. However, we try to mix in some songs you might know, but haven't grown tired of. Based out of suburban Washington, the DC Dynamos aim to please, and we like to think we hit the bulls-eye more often that not. Every week Rick picks a different station survey to countdown, adding along the way, lots of extras. A must listen! From 8-9P eastern, we feature on the 1st Wednesday of each month, Truly Judy's Tunes, the 2nd Wednesday is Randy on the Radio and the 3rd Wednesday, it's Jeff’s Rock'N'Roll Record Party and the last Wednesday we rotate George Green's Music Machine & Pete's Picks. From 9-12M eastern, it’s the Otherside of Ramtown where the emphasis is on fun with musical oldies contests. Plus the last Wednesday of the month is an all Request Fest. All Wednesday shows present music from the 50's, 60's & early 70's. The main focus is on those rarely heard quality oldies that do not get played elsewhere. Alex plays mostly music from the mid 50's to the mid 60's. The show is filled with Teeners, Rock'n'Roll, DooWop, Girl Groups, Instrumentals, Surf, Rockabilly and phone in requests. Add to the music a few TV themes and radio jingles of the day along with old time commercials . All in all, it's a nostalgic trip into the past with rare tunes never played on the radio. The Clarke Davis Experience is a mixture of music, commentary and opinion. Music provides a broader sense of enjoyment when presented in context. Rather than just random selections, Clarke Davis seeks to provide another layer of understanding to the music. Comments about the song, artist or location are coupled with respect for the production itself help you to enjoy the experience further, the Clarke Davis Experience. Clarke loves music and enjoys sharing his musical discoveries with you. 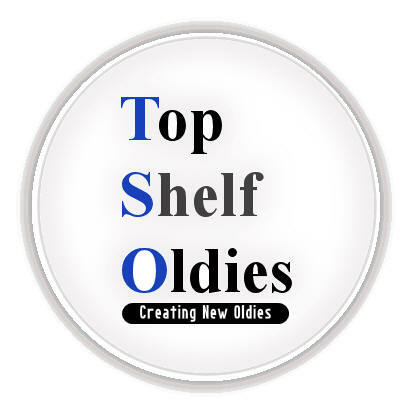 Please join him for a fun visit during his show on Top Shelf Oldies. You can expect a world wide perspective with a wide assortment of musical styles. Each selection is hand picked to provide pleasure and perhaps just a bit of expansion of musical horizon to the listener. Hear everything from early R&B to 60s sunshine pop and garage band greats. Fun mandatory, gloom prohibited. See Clarke's show description in the Thursday section. For the first three or four Saturdays of the month, I feature vocal group harmony and R&B at its best from the 50's & early 60's I also play Rock n' Roll, Teeners, Soul, & a little Rock-a-billy! On the last Saturday of the month, I spin music primarily from 1964 through 1969. All the music comes directly from rare original 45's, as I have over 150,000 records in my collection. You can even watch me spin these 45's live by clicking on the Live Video Stream link on the right and watch or hear archived shows by choosing those links. I have a music library of over 500,000 songs including 100,000 plus original 45's, many rare that sound great and leave you wondering how they never became hits. Relics & Rarities on Topshelf Oldies is the most fun for me because I have total freedom to play whatever sounds good with no restrictions. Combining the many lost 45 gems with cool hits has been the formula for Relics & Rarities since February 1996 when this show first aired on WPDQ. Relics & Rarities also played to a national audience on XM, and is currently heard in several markets through syndication. Otto is the guy you hear on the overnights and during days on TopShelf. He claims he knows (and plays) the music YOU love. Communicate with him via his Twitter link to the right.